Ah, heaven! Back in my beloved Turkey again. 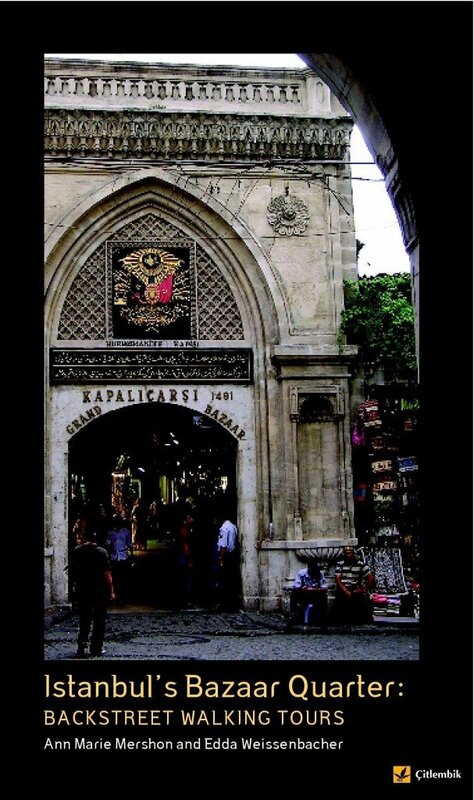 I’m actually here to work on the guidebook I wrote with my friend Edda, Istanbul’s Bazaar Quarter~Backstreet Walking Tours. If you haven’t bought one yet, you might find it interesting. I’m updating information, improving the walking directions, and taking care of some contractual issues before we have the book developed into a phone app. My friend Lynette has been an indispensable aide, my guinea pig as she attempts to follow written walk directions with neither maps nor photos to guide her. We’ve improved on nearly all of the 100 sets of directions in the book, and let me tell you, we were greatly relieved to finish the last walk. We celebrated by treating ourselves to a dinner of fasuliye (spiced, stewed beans), pilaf, and eggplant hot dish near the Süleymaniye Mosque. It was fabulous (and quite reasonable). Speaking of reasonable, I feel bad for the Turks, as the lira is weak right now. It’s a GREAT time for Americans to travel here, though. When I taught here a dollar was about 1.3 to 1.6 lira, and now a dollar is 2.6 lira. It makes for some cheap meals. Sadly, though, hotels and carpet dealers operate on the dollar, so no great deals there. We spent our first four days in Istanbul in my friend Musa’s third floor apartment with two bedrooms and a stunning view over the Marmara. It even comes complete with a pair of cooing doves on the balcony. 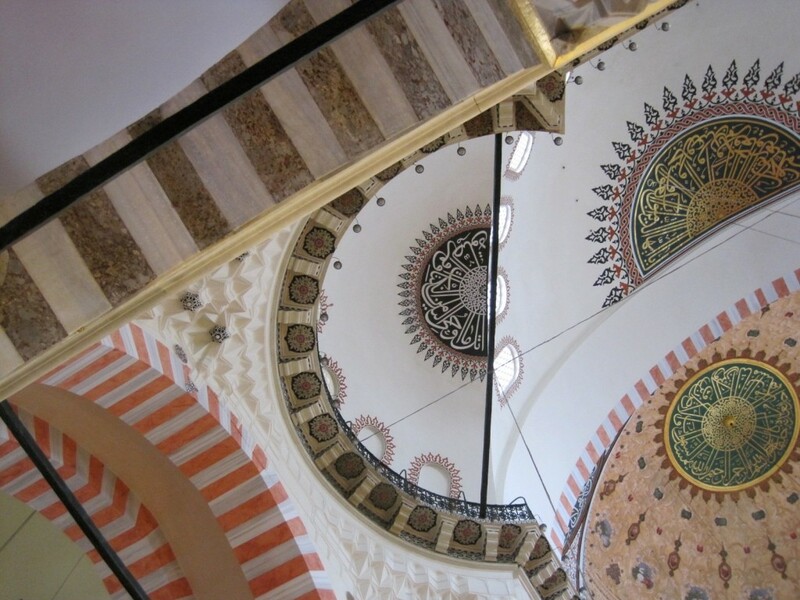 All this space is a luxury, especially in the Sultanahmet location. Unfortunately, Lynette caught a nasty cold on the plane and has been lying low much of each day. 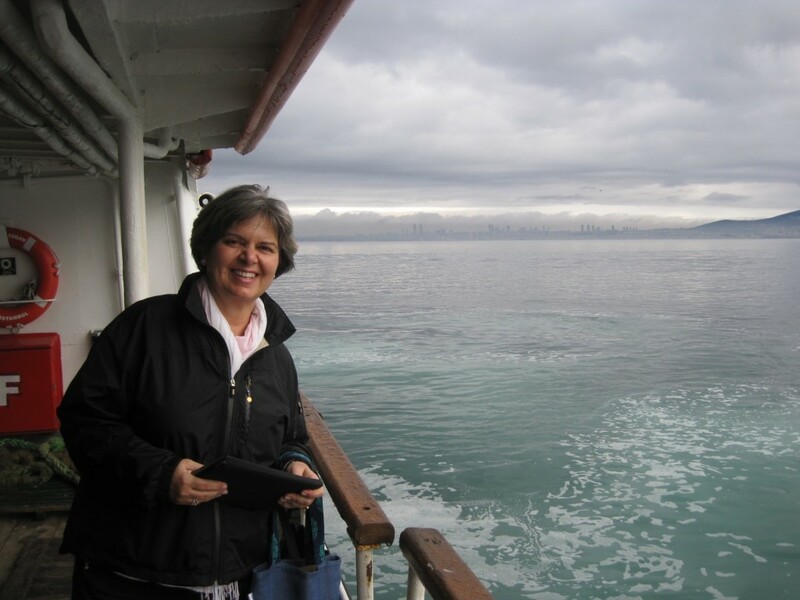 On Saturday I ferried out to join my friend Sandra on Burgazada, one of the Princes Islands. 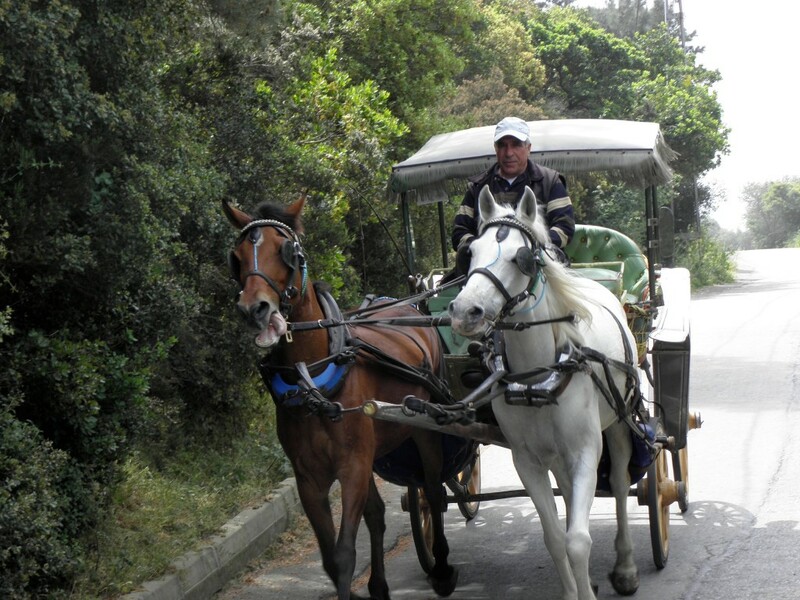 It was a treat to revisit its horse carriages and incredible vistas. No cars allowed sure works for me! On our ride back from the island Sunday morning Sandra confronted a young man who was going to light up a cigarette on the ferry (in spite of clear NO SMOKING signs). They ended up in quite a quarrel with him insisting that people should resist unreasonable rules. A Turkish man stepped in to support Sandra, but we all just ended up shaking our heads. Turks can definitely be stubborn. Actually, I’m surprised at how many Turkish people still smoke in spite of all the information about the health risks. The entire cover of Turkish cigarette packages is a warning about smoking. “Turn on the meter,” I told him, and he did, but it stopped at 23.5 lira. (Gosh, I wonder how.) When I asked about it he said it was automatic. I was mad. When we arrived at the airport he asked for 260 lira. What???? By that time smoke was pouring from my ears. I told him to wait and walked over to the taxi stand. Another driver said it should cost about 130-140 lira from Sultanahmet. I stormed back to our driver and gave him 140 lira. He called me a crazy woman. Yup! I hate when this happens. I’ve heard that taxi drivers will often bilk tourists out of money, and if I hadn’t known what to do (and known a little Turkish), we’d have spent an extra $50 on that trip. We thoroughly enjoyed Cappadocia. 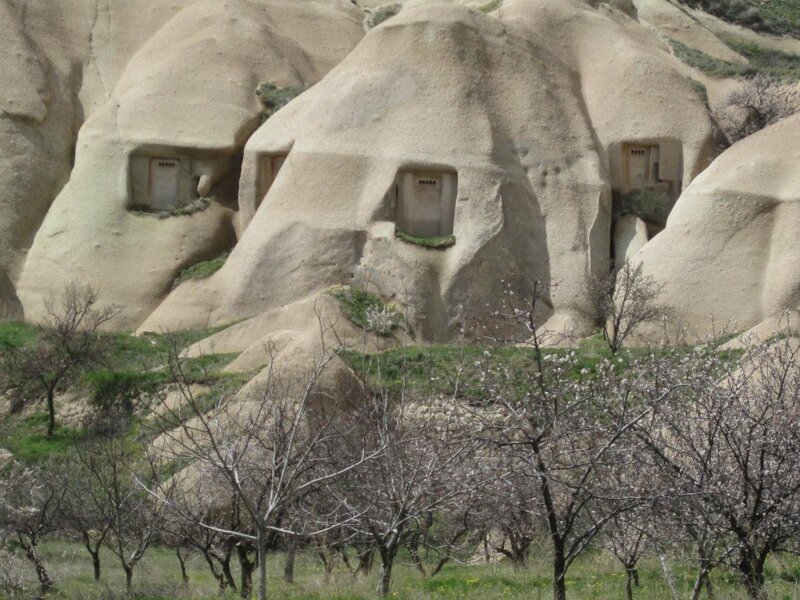 I’ve fallen hard for Göreme, and the Kelebek Hotel is like a kiss on the cheek. 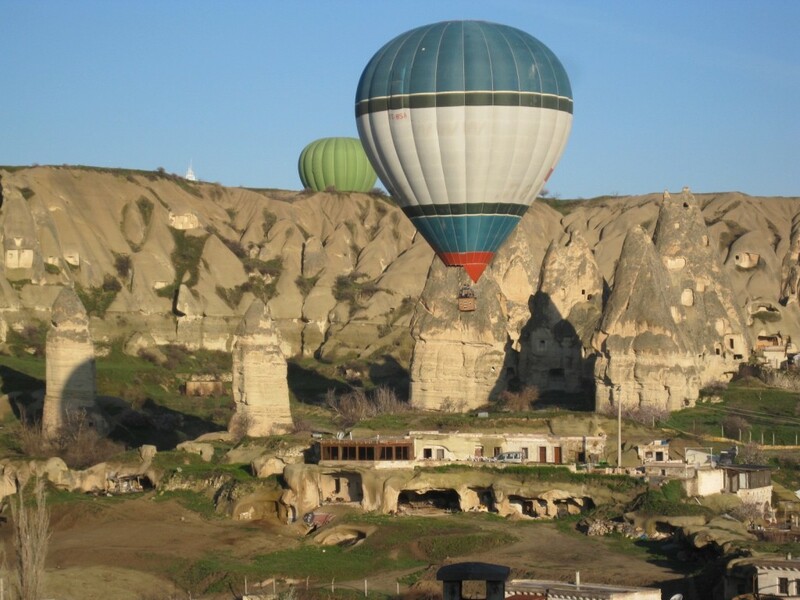 We woke the first morning to a bevy of balloons floating through the sky, recalling memories of our balloon ride the last time we were in Cappadocia. 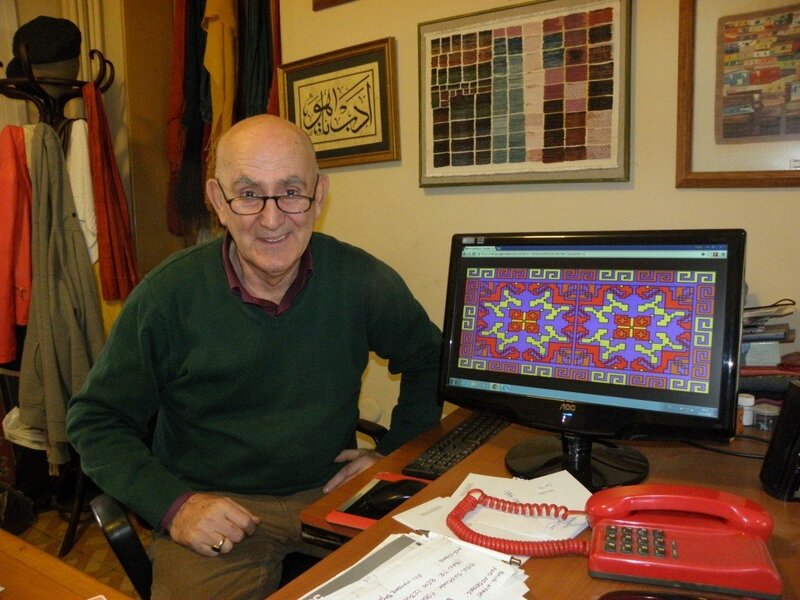 I happily connected with old friends at the hotel (Mehmet and Hasan), and we stopped in to visit with Ali, a carpet dealer who took us dancing a few years ago when we came with a tour. 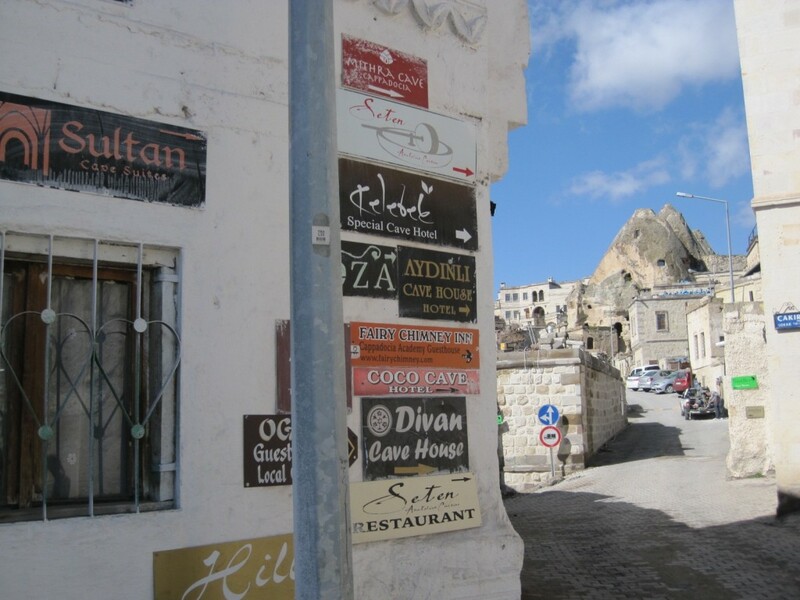 According to Hasan, Göreme is about the size of my home town of Grand Marais, about 2000 residents but it has 143 hotels. Amazing. A good percentage of them are cave hotels, too. 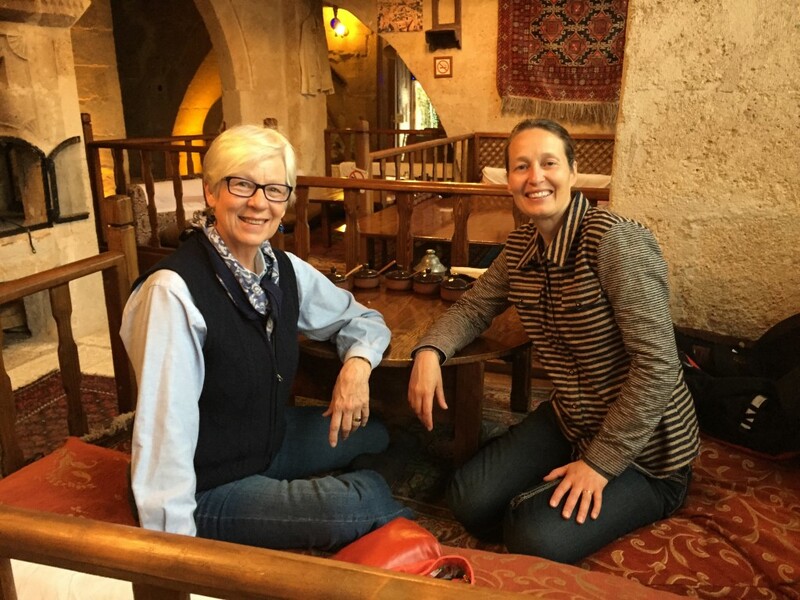 On our second day in Cappadocia the power went out—not just in our area, but all over Turkey. I can’t begin to imagine what the traffic must have been in Istanbul. It’s a nightmare even when the stoplights are functioning. Fortunately, our hotel had a generator, so we had both lights and internet. We ate that evening at the Dibek Restaurant, and thankfully they, too, had a generator. They serve regional foods prepared by the family under the direction of Anne-Anne (Grandmother). The decor is traditional with floor cushions and low tables. I went back to thank them for the fabulous meal, and they were tickled that I could speak Turkish. It warms my heart to reach out to them in their own language. Lynette and I wait patiently for our dinner to arrive at the Dibek. We weren’t the first diners—there were two other tables that early. The next day Lynette was a bit under the weather, so I hiked alone: five challenging kilometers through the Pigeon Valley and up to the top of Uçhısarı, which was once a castle overlooking the entire valley. The highest point in Cappadocia, this castle was carved from the soft rock of Cappadocia’s tallest peak over 2000 years ago. It’s pocked with windows and doorways carved into the stone, and I wasn’t sorry that they’ve added stairs around the outside up to the summit. Lots of stairs. I later learned that people lived in these carved-out homes until 1950, when they were relocated to hand-built homes for safety. 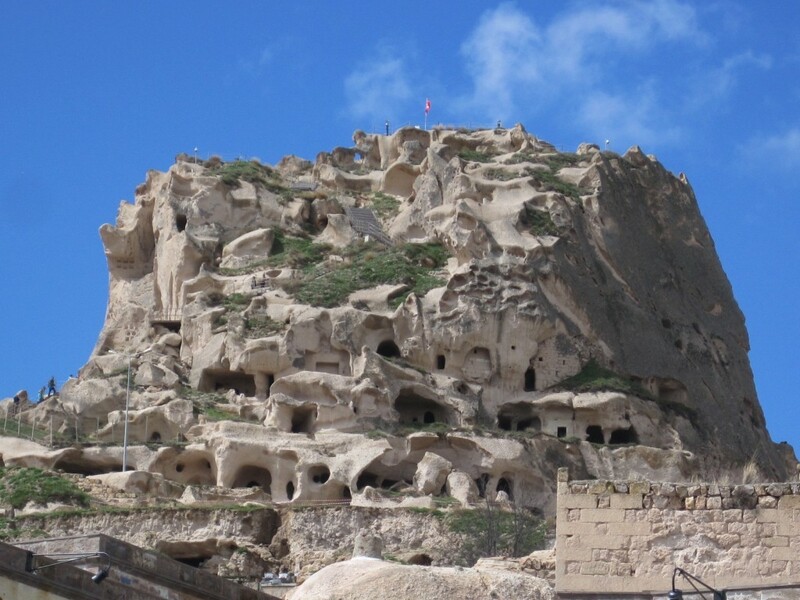 The next year a large section of Uçhisar caved in during an earthquake. 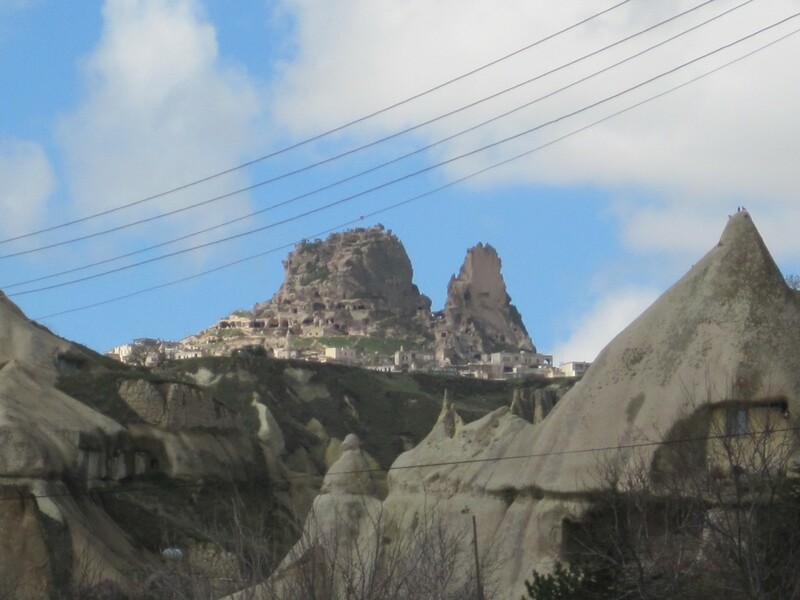 The next day was a tearful goodbye to the magic of Cappadocia, and back to Istanbul. Ah, Istanbul! 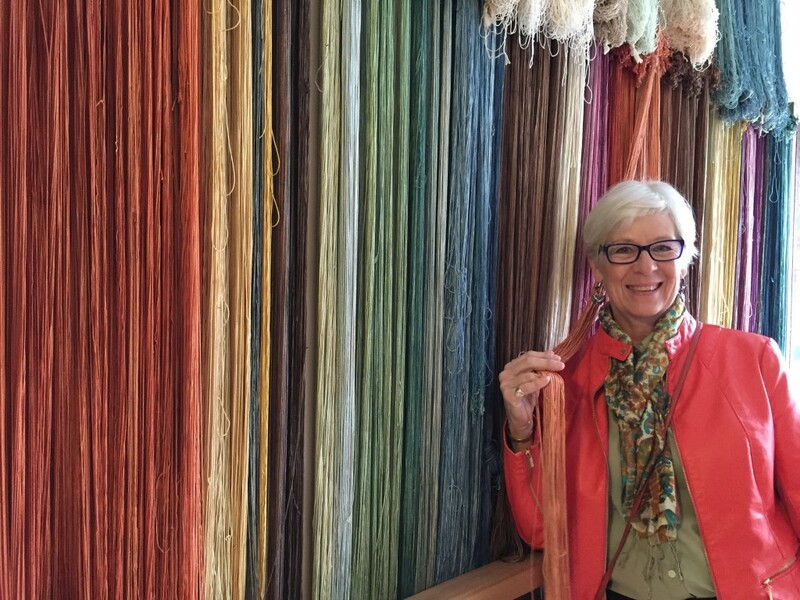 Ann-Marie, you are a living treasure. 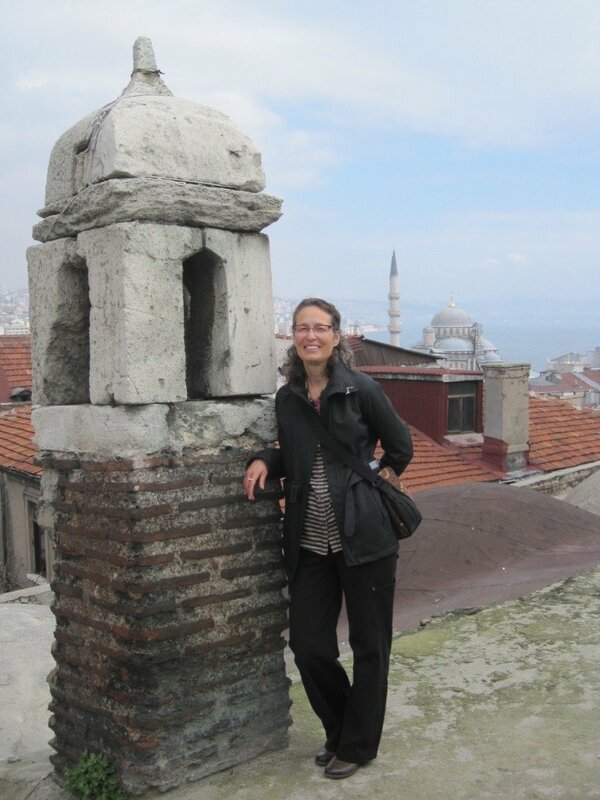 There can’t be many westerners who know Istanbul as well as you. 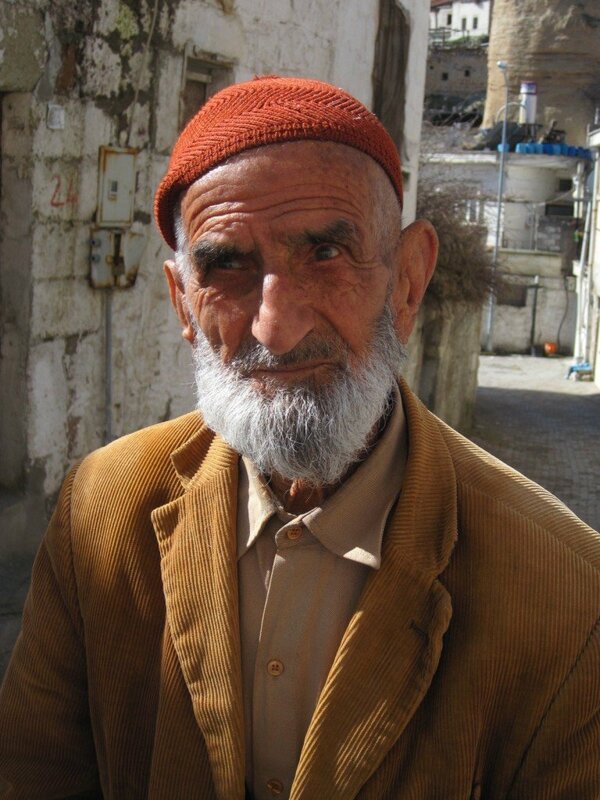 Hankering to return to Istanbul with you as our guide.